I haven’t worn this dress since my bachelorette party a couple of years ago, and I’m not sure if I got taller, or what, but it definitely feels a tad shorter! I don’t know if it’s because I’m old and modest, or what, but it’s definitely feels a tad shorter than it used to be! I suppose that since this is my official Valentine’s link-up outfit, I can show a bit of skin, right? 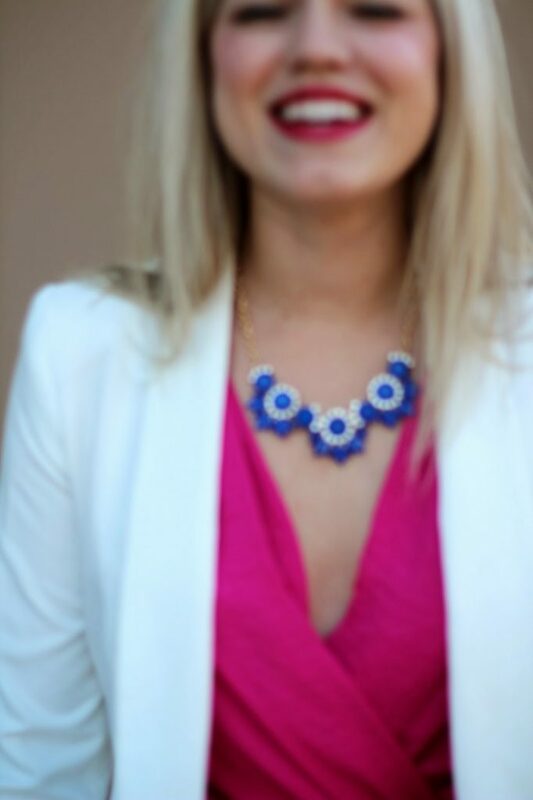 I paired it with my favorite sophisticated white blazer and my darling INPINK necklace. 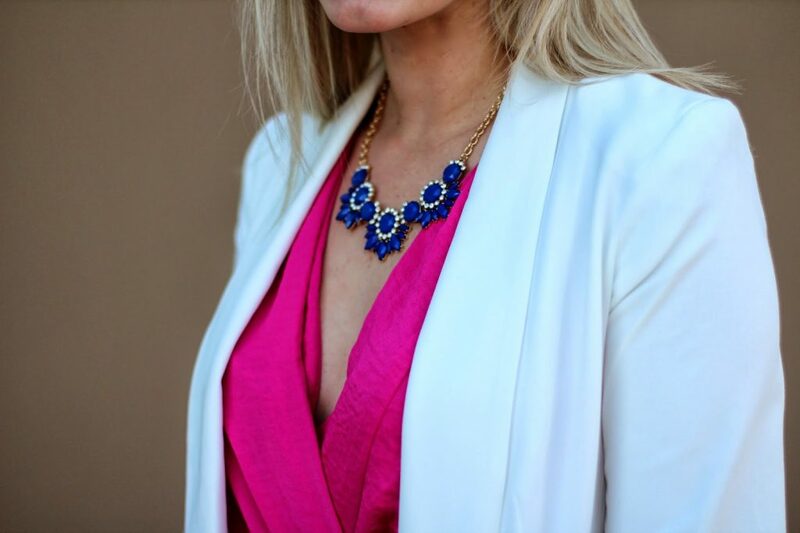 I love that the cobalt blue is an unexpected pop against the pink & white! 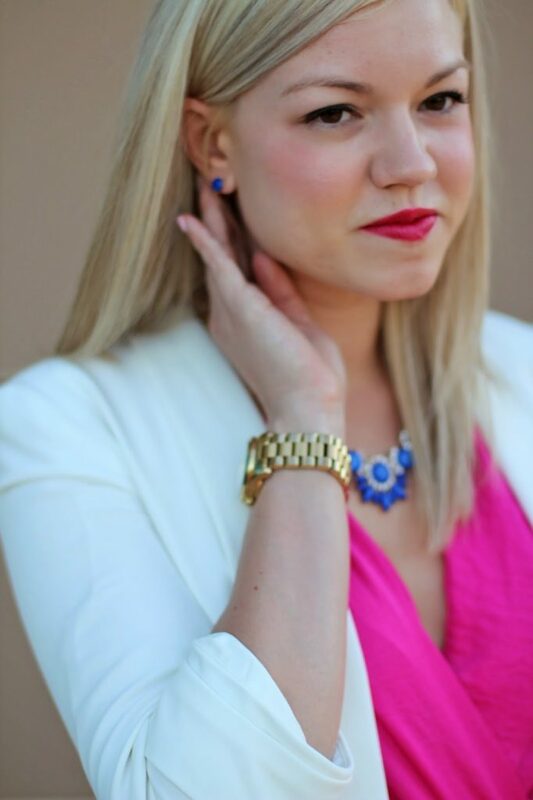 This week’s Spotlight is Ellen from Everyday Fancy! 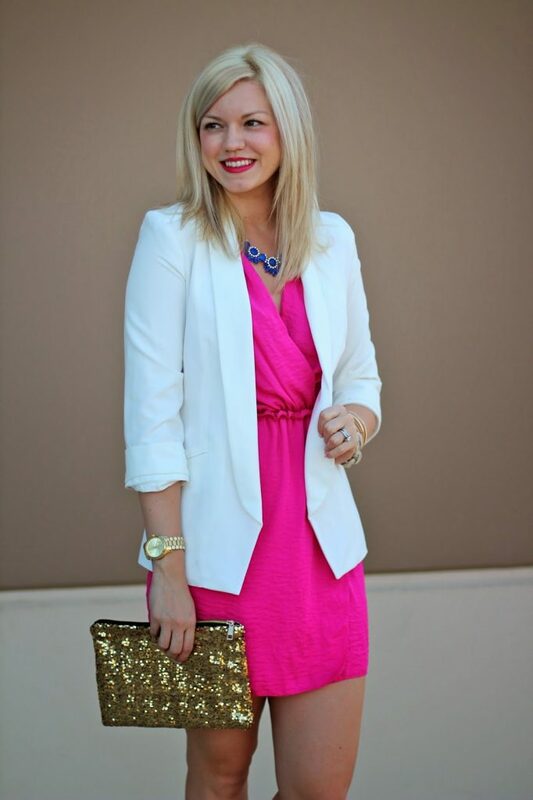 Her blog is darling! Make sure to stop by and visit! 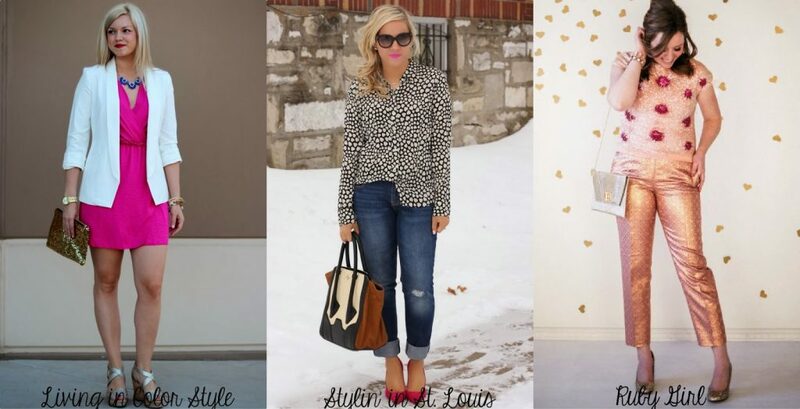 NEXT WEEK: Next week we are featuring pastels as our spotlight trend! Thank you so much for reading, and for linking up! *Photo & set styling for Linsdsey’s picture by Jaimee Morse. 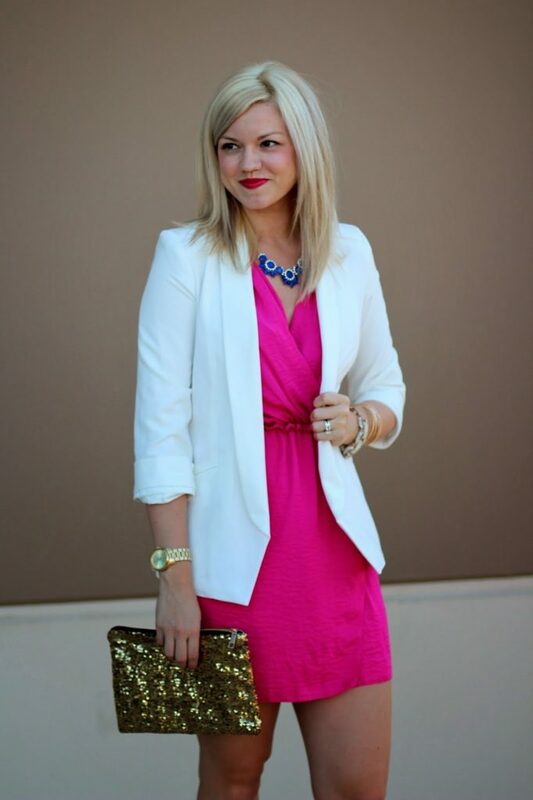 love this little pink dress!! I didn't even notice the length! The color is so stunning on you! And I'm dying over the clutch! that dress is adorable! The blazer really gives it a classy look too. you look completely gorgeous! i absolutely love this entire outfit! 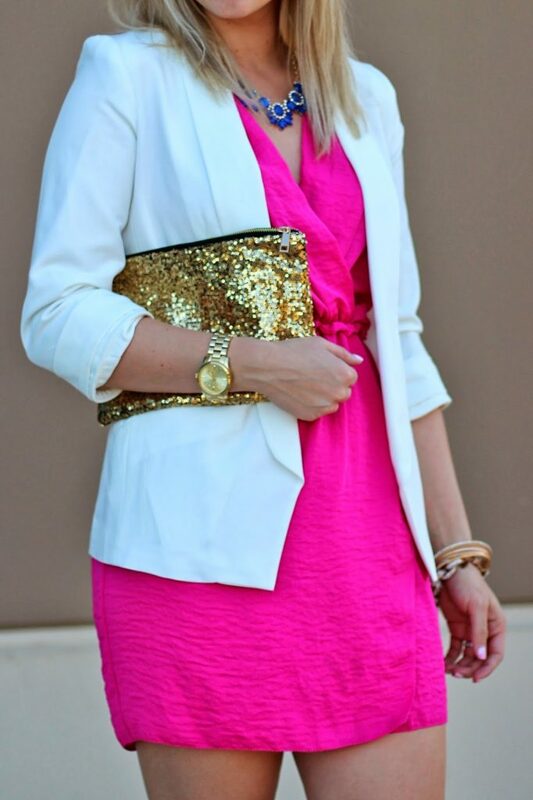 Such a cute dress– love how you paired the necklace, sparkly clutch and added the stark white blazer! What a gorgeous dress and sandals Elle. You did such a great job styling this, with the addition of the Navy Jewels. Check out my special Valentine's Day Post today and how I styled my White Lace Dress. I would love to see what you think. Thank you.